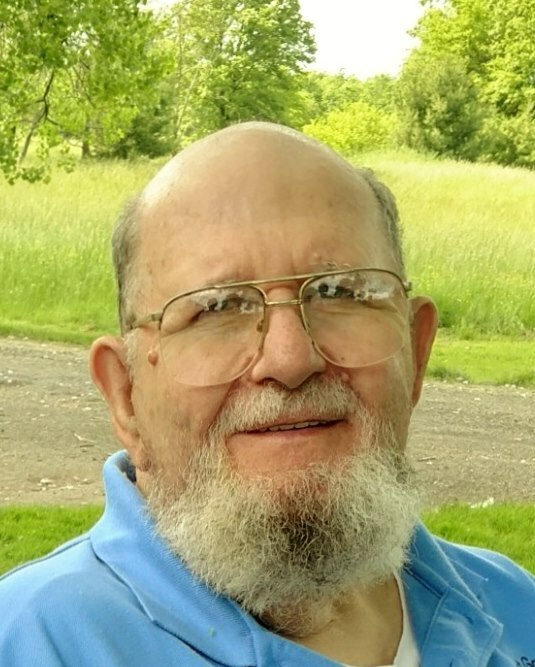 Russell Chapman, age 80, entered his eternal resting place on October 10, 2018 at Alliance Community Hospital following a long illness. He was born October 11, 1937 to the late Alden and Hazel Chapman. Russell retired after 45 years from Alliance Community Hospital, where he worked as a Boiler Engineer. He was a faithful believer in Jesus Christ and enjoyed his bible study and bible prophesy. He dearly loved his family, gardening, fishing, playing cards, oil painting and Wheel of Fortune. He loved telling jokes and it became a tradition. He is survived by the love of his life of 62 years, Dorothy (Smith) Chapman: daughters, Dottie (Michael) West, Russella Anderson, Shelly Bodkins and Sheila (Samuel) Jackson; grandchildren, Amy (Joshua) Burchett, Tiffany (Robert) Escamilla, Jeremiah Anderson, Andrea West, Curtis (Karina) Bodkins, Jaclyn Jackson (Brian Shilling) and Elly Jackson; great-grandchildren, Makenzie Bodkins, Vanessa Bodkins and Luke Burchett. Besides his parents he was preceded in death by infant daughter Debbi Jean, Son -N- law, Benjamin. Sisters: Marguerite Chapman-Shofroth, Lucille Chapman- McDaniel and Donna Chapman. A funeral will be held, Tuesday, October 16 at 10:00 am at East Goshen Friends Church in Beloit with Pastor Gerald Baker officiating. Friends and family may pay their respects from 6-8 pm on Monday, October 15th at the church. Burial will be at Quaker Hill Cemetery. Arrangements are being handled by Dean’s Funeral Home of Sebring, Ohio. Friends may register online at www.deansfuneralhome.com.